Spring is a wondrous time of growth and renewal. The days grow longer, we pull out our spring clothes, assess what we have, what we no longer need, and what we want to change. With spring, we shake out the rugs, open the windows, and let the fresh air flow in. Join Angelina and Emily on this retreat to practice yoga and meditation to cleanse your system and open yourself up to new levels of energy, vitality and clarity. Take a break from the hustle and bustle and the many distractions that deplete your energy to reconnect with your body, your intentions and your spirit. Return home refreshed and revitalized with a deeper connection to your yoga practice. Open to all levels of yoga and meditation practice. 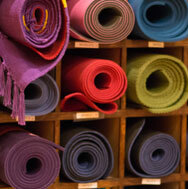 All classes and workshops also count toward Continuing Education Credit for Yoga Alliance Registered Yoga Teachers. Beautifully furnished with unique antiques from India, Casa Om sits on 60 picturesque acres looking out at the Potomac in Martinsburg, West Virginia. Get ready to renew, refresh and relax, enjoy delicious organic vegetarian meals, and experience a wonderful blend of West Virginia river country hospitality and a classical Indian yoga experience. 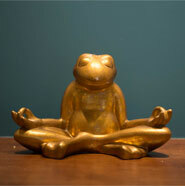 Open to all levels of yoga and meditation practice. There are several different cost options available - Sign up by April 27 and get early bird pricing! $250 non-refundable deposit due at time of registration. Remaining payment due on April 27. 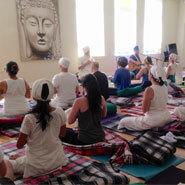 Yoga retreat pricing above includes: accommodations, organic vegetarian meals, three yoga classes and two workshops. Transportation not included. It is a 2-hour drive from Old Town Alexandria. Upon Registration you will receive directions, packing list and more. 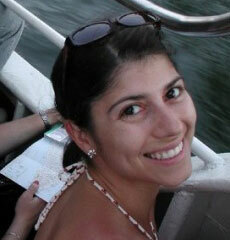 Angelina has been leading retreats with Radiance Yoga for several years now. A consummate learner, Angelina brings all that she learns from her trainings and workshops to every retreat that she hosts. 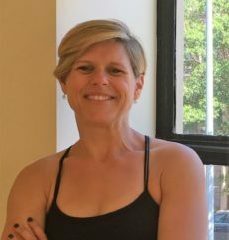 With over 13 years of teaching experience under her yoga pants waistband Emily is also a Positive Body Image and Balanced Living Group Coach & Speaker and Corporate Wellness Coordinator. Please note that there is no smoking, no drugs, no alcohol, no meat, no fish and no pets allowed on the property.